Roots & Culture is proud to host an exhibition that celebrates the centennial year of Ox-Bow, school of art and artists’ residency. 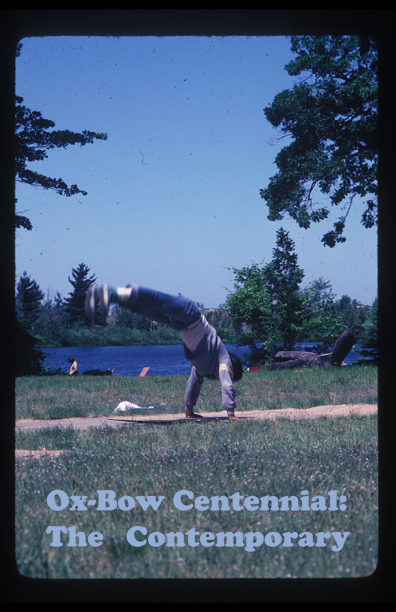 Located in Saugatuck, Michigan, for the past 100 years, Ox-Bow has provided an immersive experience for artists where the influence of a creative community, pristine natural environment and the process of retreat has made a lasting impact on countless individuals. The artists in this exhibition represent the range of relationships that artists have to Ox-Bow, from faculty members, to staff, to resident artists, to fellowship recipients and students. The majority of the artists included in the exhibition represent the contemporary generation, while two artists, George Liebert and Betsy Rupprecht provide a link to Ox-Bow’s legacy- both in their deep personal histories at Ox-Bow and in that they are each highly regarded instructors who have had an enduring influence on the younger generation. Both these artists share in a tradition of narrativised landscape painting, whether employing mythic or personal storytelling through the allegory of the experience of nature. This concern is evident in painted works by Shara Hughes, Carmen Price, Andrew Winship, and Nate Wolf. Works by Hughes and Wolf use idiosyncratic styles in which the application of the paint itself ducks and jumps in frenzied reverie synched to the characters (Wolf) and objects (Hughes) that populate their images. Carmen Price cherrypicks characters and symbols from daily experience and strings them together in playfully cryptic thought streams. Winship caricaturizes and anthropomorphizes natural phenomena in his painting. Photographic work by Melanie Schiff extends this concern of landscape narrative. Phenomological approaches to nature are present in work by Aspen Mays in which the light of a firefly is literally captured in the camera’s lens and in Jonah Groeneboer’s installation work which bends and reflects light through a network of line. A preoccupation with craft and material experimentation follow through Groeneboer’s work into fiber work by Mike Andrews, which recasts domestic materials into works of intuitive investigation. Hybridized everyday objects and rituals are further explored in an interactive installation by Anna Mayer. The themes explored in this exhibition- narrative, natural phenomena, craft, and everyday ritual are dominant concerns of artists working at Ox-Bow today. Also on view in Roots & Culture’s kitchen space is a show, “Who Cooks for You?” arranged by the six cooks of Ox-Bow. Part group exhibition and part museological display, the cooks, who are all artists as well, will conjure the spirit of the Ox-Bow kitchen. The kitchen at R & C itself is designed around an old stove from Ox-Bow that was salvaged during the renovations in 2006. With Erin Chapla, Tom Harrington, Mikey Henderberg, Eric May, Carmen Price, and Becky Wehmer.